When you walk into temples, you may find a lot of Jizo (guardian deities of children) in the grounds. Have you ever noticed? What are these peculiar statues and why were they constructed? 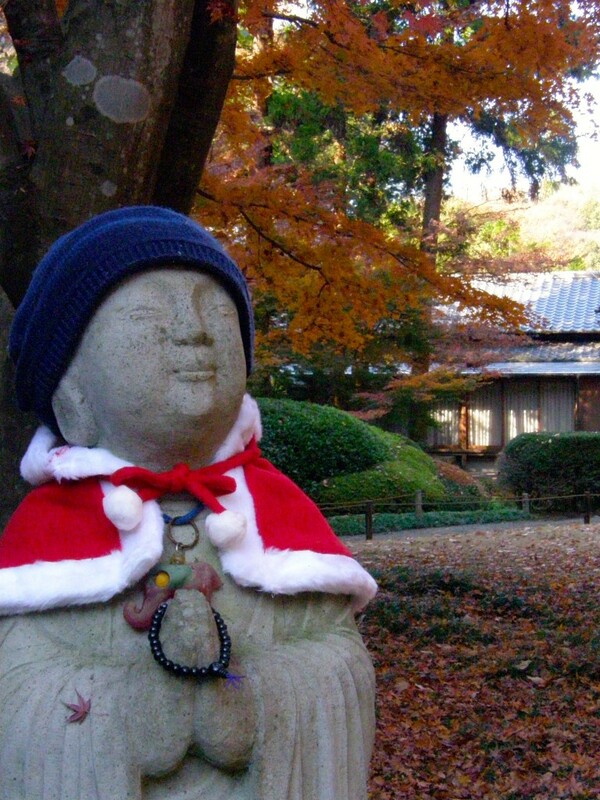 The real name of Jizo is “Jizo Bosatsu,” who is an important figure in Buddhism. In Sanskrit, Jizo is called Ksitigarbha (ksiti=the earth, garbha=womb). Ksitigarbha was translated into Japanese using its literal meaning, Jizo (Ji = earth, zo=womb). As the earth houses the power to birth all life, so too can Jizo wrap those in suffering and heal them with its infinite compassion. In Japanese folklore the Jizo has been worshipped as a traveler’s guardian, as well as a deity that protects children. For that reason, offerings to the Jizo are typically children’s snacks. In Buddhism, it is said the coming of the next messiah will not occur for 5.6 billion years. In the absence of the next savior, the Jizo helps ease the world’s human suffering. 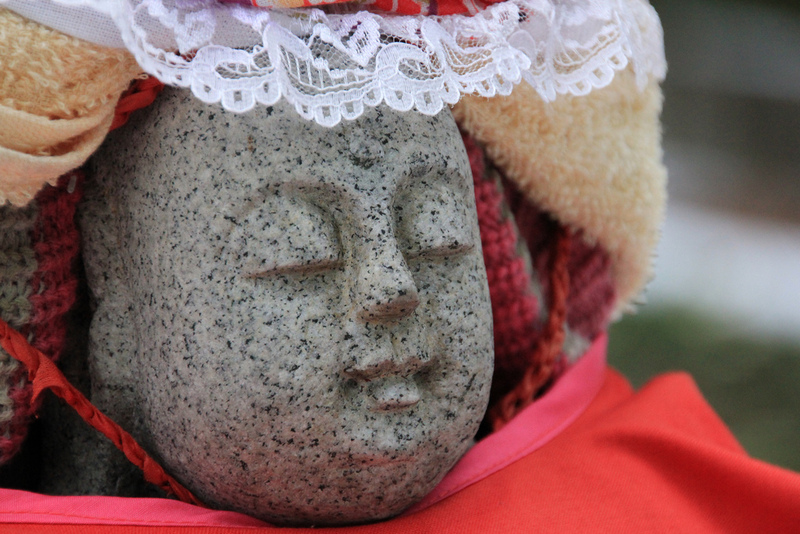 Jizo statues are constructed at accident sites or in memoriam of a lost child or fetus. This is because the Jizo is said to protect the weak. In particular deceased children require mercy from the Jizo because they are unable to build positive karma in their lifetimes, and rather, cause great suffering for their parents. This is why the Jizo is said to offer protection and salvation to deceased children. In addition, the Buddhist belief has been combined with folklore, and the Jizo is sometimes seen along roads bordering towns and villages, constructed as a guardian. Here is a map showing Jizo spots in Tokyo. Here is a map showing Jizo spots in Tokyo, click the following URL. Why don’t you make a quick stopover during your next walk?